It's always better when you get to visit a place as a traveler before it explodes into a red-hot "it" tourist destination. Not for the bragging rights that you explored it "before it was cool," but simply because that means you'll get to have a more authentic and genuine experience. Now, thanks to a new United Nations report on the latest burgeoning tourism hotspots around the world, you'll have a better idea of where to book your next vacation in order to stay ahead of the curve, and ahead of the subsequent deluge of pesky tourists like yourself. According to the UN's World Tourism Organization's World Tourism Barometer, which measures the comings and goings of overnight travelers in every country throughout the year, there was a 6% increase in tourist travel during the first four months of this year compared to the same timeframe in 2016. 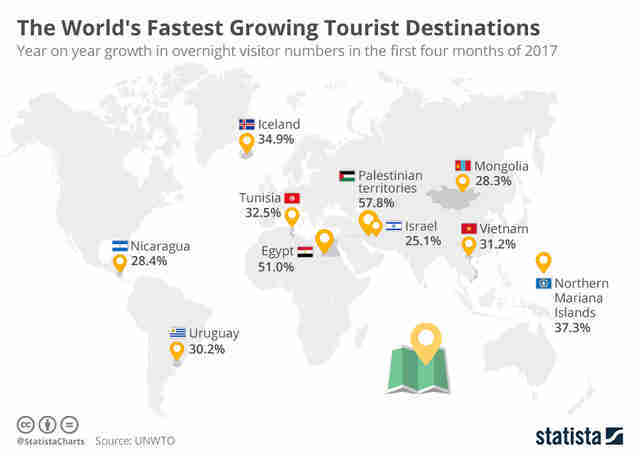 The data also suggests that a number of countries have seen a significant growth in tourist travelers since the last year, including some you might not expect. The Palestinian territories took the top spot, followed by Egypt and the Northern Mariana Islands. Of course, things could change a bit before the end of the year to skew the data, knocking countries out or in of the current top 10. 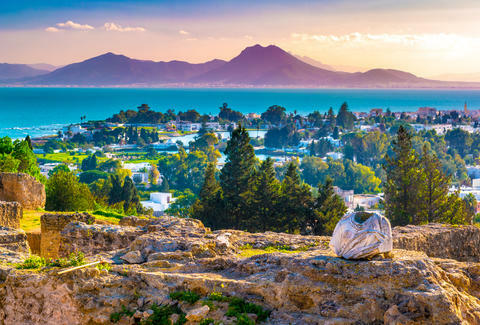 However, if you're looking to explore a country on the verge of a tourist boom, it's probably safe to scope out flights to any of the nations listed above.